Unfortunately, the only colors currently available are those shown on the website. I sent an email to them recently to ask about other colors and that was the response I got. I'm hoping they will bring back some of the more unique colors. They've made some great blues in the past, as well as some more unusual colors. That's interesting to hear, when I ordered mine back in 2012 (delivered early 2013), the only colours shown on the website were black, rhodium, black carbon fibre, limette and orange but there was another picture doing the rounds of all of the other available dial colours with a number beside each option. I just asked Luisa if I could have number 9 and it was done. I think it's great that you can order a watch from Stowa that you can be assured not too many other people in the world will own. I'm pretty confident there aren't hundreds of eggshell blue Prodivers like mine in existence. My other two favourites from times past that are no longer in production are the turquoise and white. My eggshell blue is awesome but in truth it would have been second choice if the turquoise had been available. I sent that photo with all of the other dial colors when I made my inquiry. I was hoping for the turquoise, but was told the only colors available were the ones shown on the website. 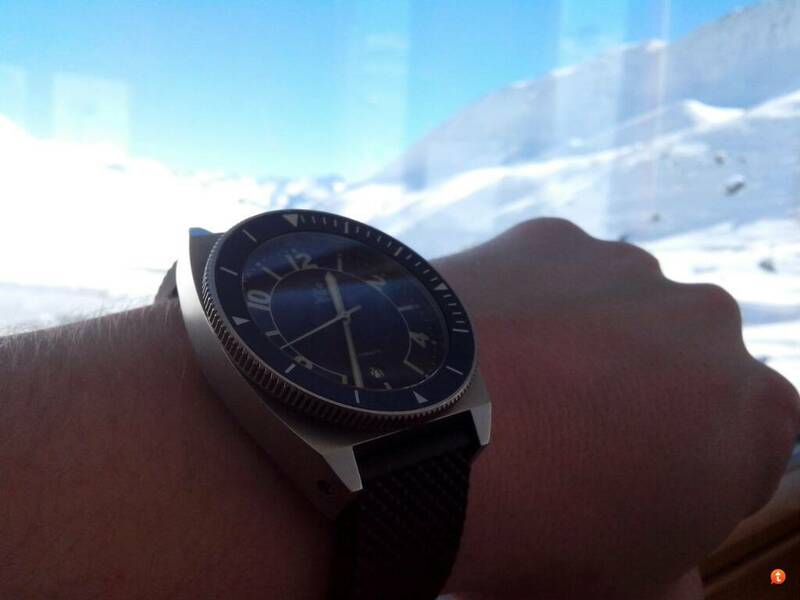 I really wanted a blue dialed diver that wasn't the same ubiquitous blue most brands sell. I keep an eye out on the sales forums but I don't think many were made in those colors. Were else but Stowa can you find a color like Lime on a watch dial. nervexpro55, marlowe55, NikAlex and 3 others like this. I was amazingly lucky to have a forum member respond to my WTB ad and agree to sell me his unworn Melone Prodiver. It's a beauty!! I would love to add a melone prodiver to the limette i ordered. That is the coolest shade of orange. Last edited by nervexpro55; March 17th, 2014 at 02:31. [QUOTE=WatchDialOrange;7532699]Were else but Stowa can you find a color like Lime on a watch dial. With the Limette and Melone shades Stowa locked the "cool dial colours" category. Love it on the rubber strap. Last edited by addict1984; March 18th, 2014 at 02:27.
platinumEX, Kid_A, marlowe55 and 3 others like this. ^^^^ Lovin' the lime and lovin' the lume.